Love him or hate him, Elon Musk has certainly shaken up the automotive world when it comes to electric vehicles. Would the established car makers be as far down the path with their EV plans if it wasn't for Tesla? It's certainly up for debate. 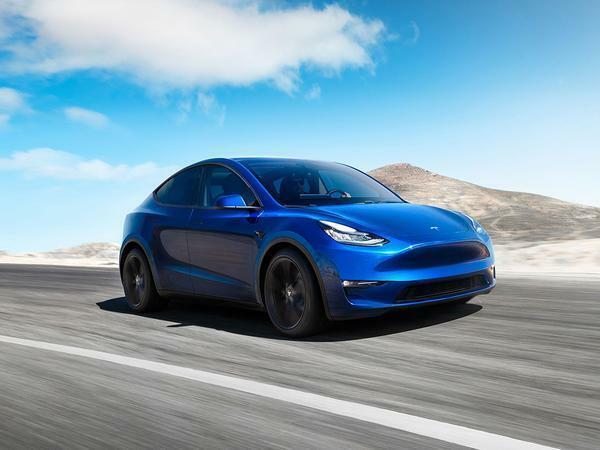 Now the Tesla range (no pun intended) has been bolstered further with this, the new Model Y. A crossover-SUV-SAC creation, the Y shares 75 per cent of its parts with the Model 3 - hence the similarity in design. The key difference here, as you may have guessed, is the increase in interior space over the 3. Tesla says the Y "has the functionality of an SUV, but rides like a sports car"; that extends to having a third row of seats optionally available, the seven-seat Y available from 2021. The rest of the interior is as you were for the other Teslas: note the lack of conventional instruments, and the main control screen that measures 15 inches across. The cabin is said to be "built around the driver", the combination of elevated seating and a low dash giving "a commanding view of the road ahead". All Model Ys will come with a panoramic glass roof, too. As for performance, the Y will be initially launched next year with Long Range, Dual-Motor All-Wheel Drive and Performance models. Long Range is said to deliver 300 miles of range, 60mph in 5.5 seconds and 130mph; the Dual-Motor AWD drops the 0-60 time to below five seconds and has 280 miles of range, while the Performance is claimed to complete the sprint in 3.5 seconds, as well as offering 150mph and 280 miles of range. A more prosaic Standard Range (120mph, 5.9 seconds, 230 miles) will join the other models in 2021. As for charging, all Ys will be compatible with Tesla's third-gen, 250kW Superchargers, now capable of providing enough juice for 75 miles driving in five minutes. Older Superchargers are being updated with the technology, too. 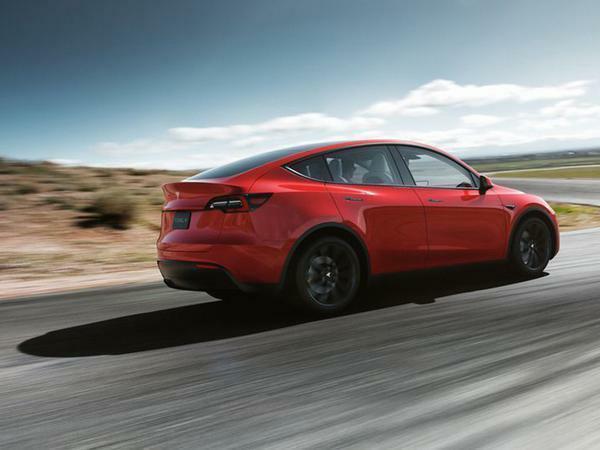 Elon Musk tweeted from the launch event: "Model Y, being an SUV, is about 10% bigger than Model 3, so will cost about 10% more and have slightly less range for same battery." Therefore prices will kick off at $39,000 in the US for the Standard Range (when it's available), or $47,000 for the Long Range. Another $4k gets the Dual Motor Y, with the Performance topping the range at $60k. As is often the way with Teslas, it'll be little while before we get the Y in the UK, but who would bet against there being a glut of orders as soon as they are? 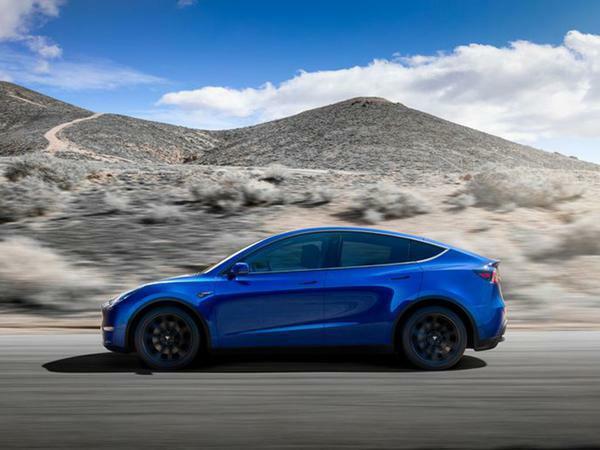 "Elon Musk tweeted from the launch event: "Model Y, being an SUV, is about 10% bigger than Model 3, so will cost about 10% more..."
This is quite a revolutionary new pricing model , whereby cars are charged by the yard.... Does not bode well for Skoda. I know you shouldn't judge a car by it's pictures but it does look a slightly ill-proportioned thing. It’s not a looker is it? I’m working over in the US this week and drove from Fort Lauderdale to Orlando and back yesterday. Fortunately in a SIXT 7 seat Mercedes GLS450. At 18mpg (and I was pulled over and given a warning for travelling at 97mph) I did need to fill up which was a matter of minutes. My journey was pleasant, anxious free and could not have been achieved in a Tesla. My meeting was on a downtown industrial estate and the hotel I am staying at does not have a charge point. I liked the noise the engine made in the Mercedes and I liked its slightly shonky character but these Teslas do nothing for me, and yes I have driven one, a P something or other saloon. They look cheap, feel cheap and are not cheap. All in my opinion of course. And yes before anyone says it i do a journey like this at least once a week. Last week was Chesterfield to Cardiff and back arriving home at 2am and back in the office for 7am so again a Tesla and an Taxi May have been required! Thanks for sharing your valuable insight. Who would have guessed a journey over 300 miles without the opportunity to recharge would not be ideal for a Tesla!? The scales have truly fallen from my eyes. Peronally I think it's quite good looking, and will no doubt be ideal for the school run which can currently only be attempted in a diesel 4x4 around my parts for some reason. Not for you then is it. Lucky nobody is forcing you to buy (or rent) one.